1. On moderate heat, cook the mixture of egg yolks, sugar and 50 ml whipping cream for 5 minutes until it turns into a thick cream. 2. Warm the coconut milk, add the coconut flakes and let it stand for 5 minutes. 3. Mix the coconut liqueur and the condensed milk to the egg yolk mixture, then add the mixture of coconut milk and coconut flakes, as well. 4. Whip the remaining 200 ml whipping cream and fold it to the coconut mixture. Freeze the mixture in the ice cream maker. 5. Cook the ingredients of the strawberry sauce on moderate heat and stirring continuously for 10 minutes, until it thickens. 6. 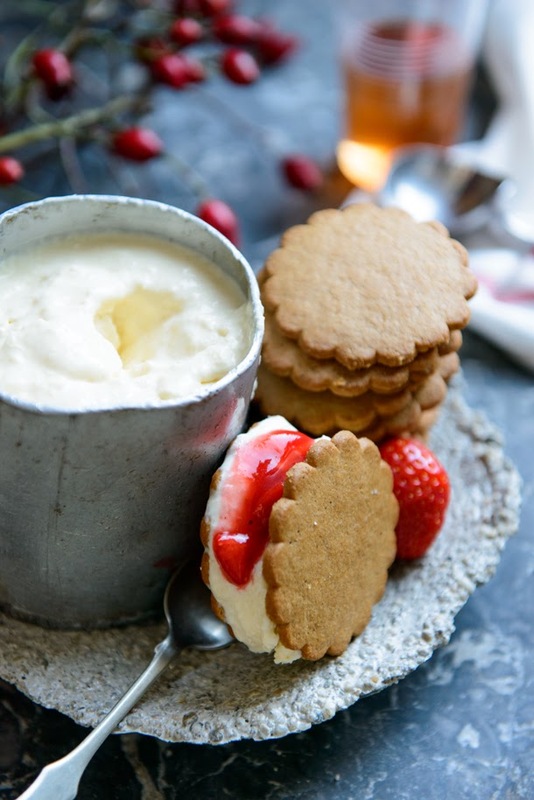 Fill the ice cream between the ginger cookies and serve the sandwiches with the strawberry sauce. 2. 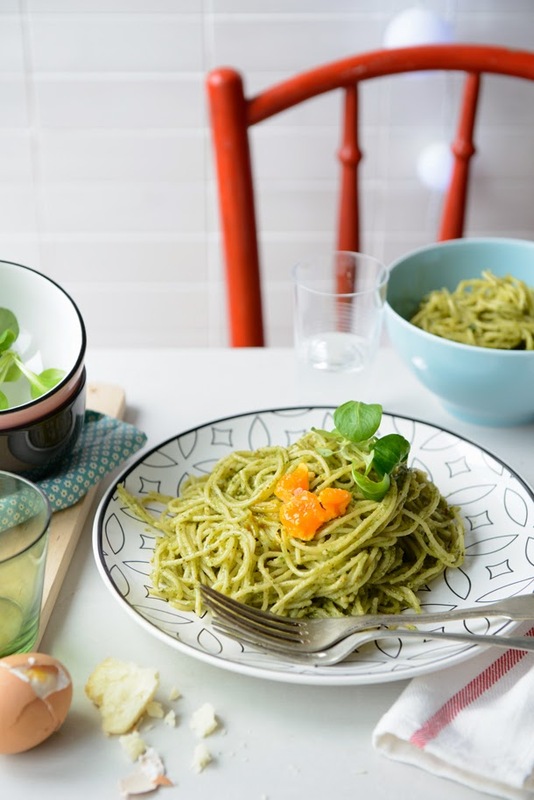 Blend the ingredients of the pesto in a food processor, then mix the pesto with the spaghetti. 3. Serve the pasta with the yolks of the soft boiled eggs, the salad, the salted almonds and the cheese. 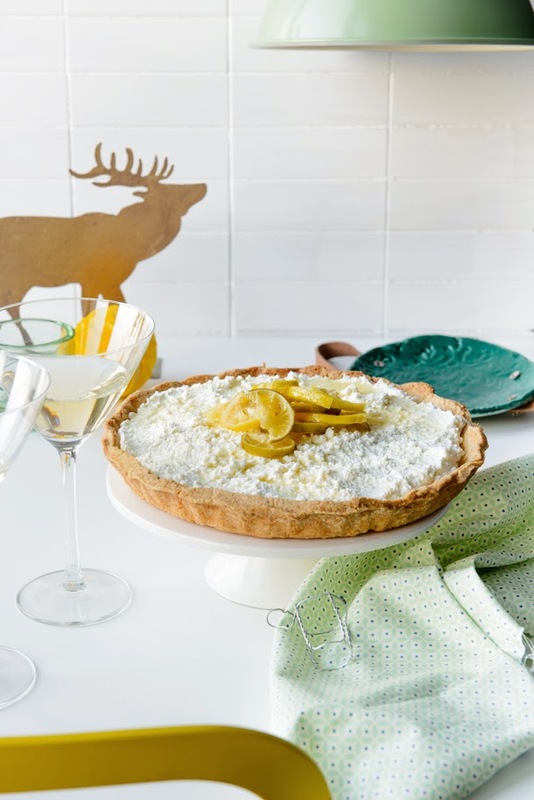 Well, I am not sure that a “cute, refreshing tartlet with lime” – as a decent food blogger should say – would be the perfect dessert for Christmas, but it would definitely be a good decision for lunatics! So lunatics, please have a look at my blog! 2. In a bowl combine the flour with the salt. Add the butter and work this mixture with your hands into crumbles. Add the sugar and the egg and knead the dough until it detaches from the bowl. 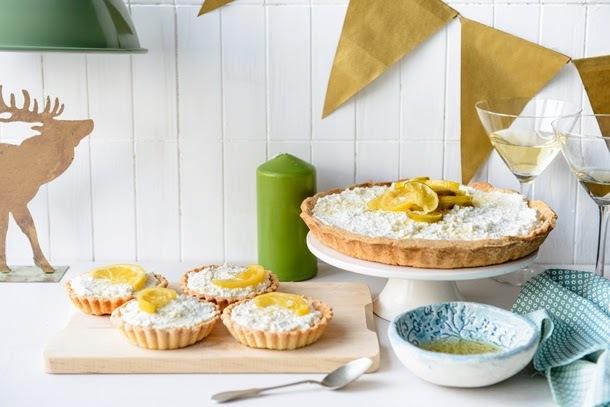 On a surface thoroughly sprinkled with flour, roll the dough to a thickness of 2-3 mm and garnish six buttered tartlet moulds with the crust. Put the moulds into the refrigerator for 30 minutes. Line the tartlets with baking paper and weight with e.g. beans and bake them for 15-25 minutes. In the last 5 minutes, remove the beans and bake the shells without them until they turn golden brown. 3. 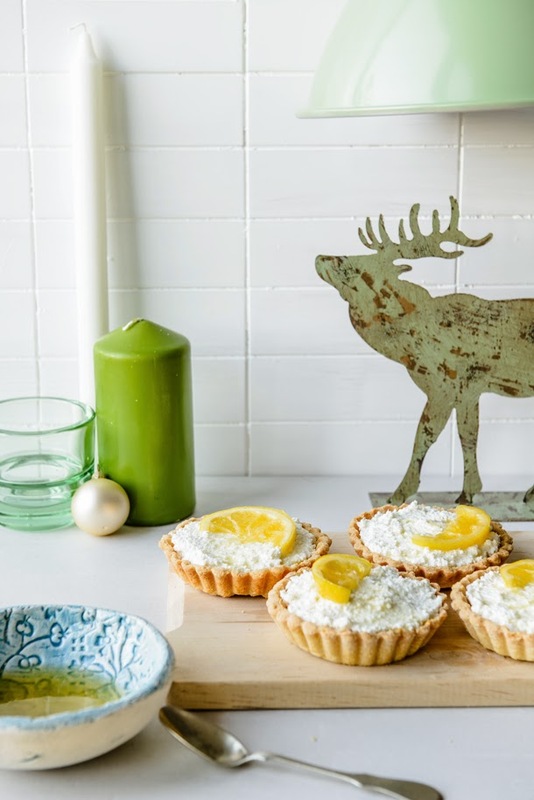 Mix the ingredients of the cottage cheese filling with an electric mixer until creamy, then fill the tartlets with the cottage cheese cream. 4. Caramelize the sugar, then add 200 ml hot water and let the caramel simmer for 10 minutes. Add the slices of lime and lemon and continue to simmer the caramel for 2 minutes. In the end, place the caramelized lime and lemon slices with the caramel sauce on the top of the tartlets. The recipe yields 6 small tartlets or 1 large tart. I baked this bundt cake following a sudden inspiration, but this was one of the best bundt cakes I have ever baked (at least I think, because you should always say so about your latest creation in the kitchen). If I am right, Nigella has a similar cake in one of her books – at least when I tasted the bundt cake first, I could realize the similarity (and others could realize it, too, so I just write this down to avoid the accuse of plagiarism, although I did not even approach that book). This is a simple, but spectacular cake. In contrast to the baking, I prepared much for the photo. Because one can sometimes go crazy: I collected rose-hips without gloves when it was raining cats and dogs, I painted some tiles of disgusting colour to white, I glued and grouted them with a bad glue gun. But the strange thing is that I enjoyed all this procedure. 3. Mix the butter with the sugar until light and fluffy, then add the egg yolks one by one. Mix in the lemon zest, the almond extract, amaretto and milk. 4. Sift the flour, the corn starch and the baking powder together, then add the almond, as well. 5. Beat the egg whites with the salt until stiff peaks form. 6. Fold the flour mixture and the beaten egg whites to the batter alternately. 7. Spread some butter in the pan and sprinkle it with flour and pour the batter into it. Bake it in the oven for approximately 45 minutes until it turns golden brown. 8. 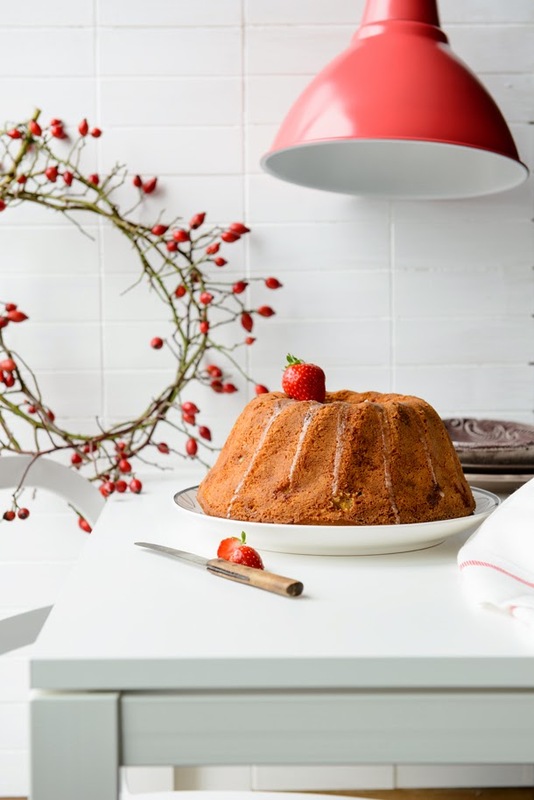 Mix the ingredients of the glaze with a whisk until smooth and pour the glaze on the top of the bundt cake. Serve it with strawberries. 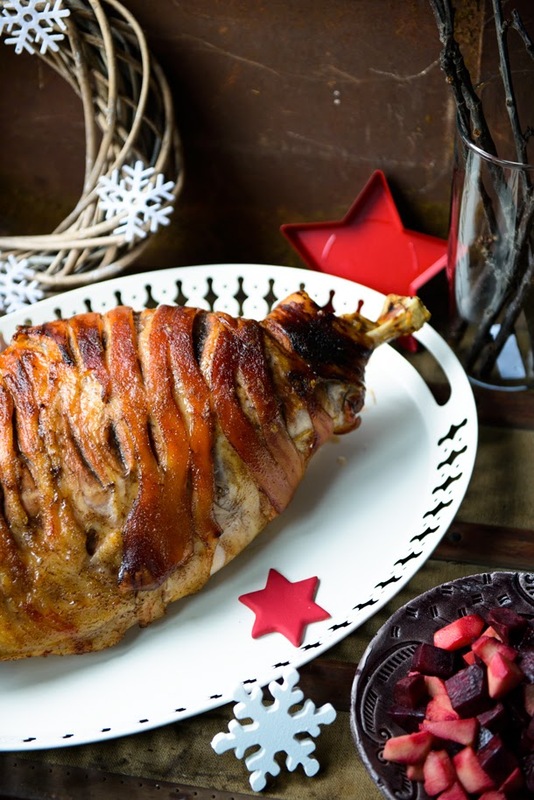 I think it was perfect decision to try this cider & clove flavoured ham before Christmas. 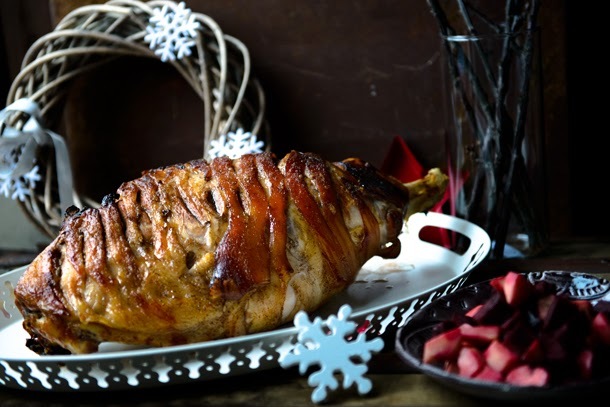 The apple & beetroot salad was originally created for the winter issue of the Stahl magazine (in a slightly different version, of course), and I liked it so much that I immediately knew that it would be a perfect pairing with this ham, as well. 2. Cook the cider, apple cider vinegar, mustard, clove and 100 g brown sugar on moderate heat for 10-15 minutes until it thickens, then strain it. 3. Score the skin of the ham in a criss-cross pattern (or if you have a larger ham, remove the skin and score only the fat). 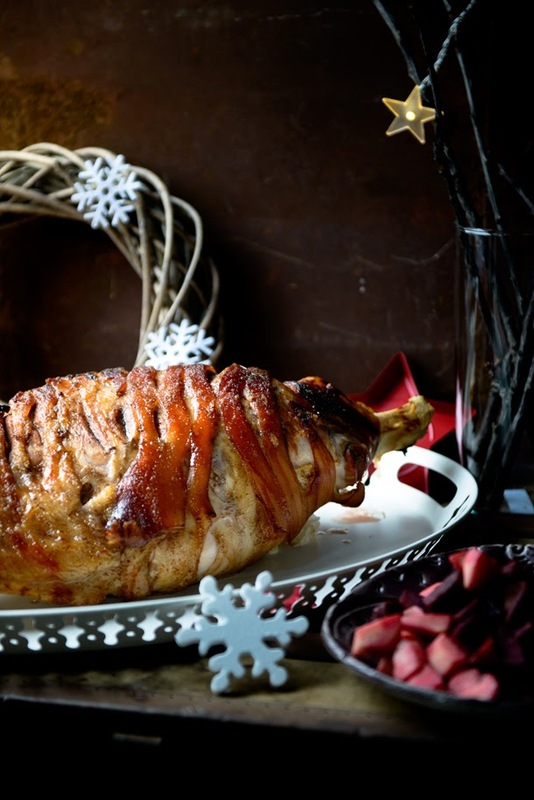 Rub the mixture of the remaining sugar and salt into the skin, then place the ham onto a large baking sheet covered with baking paper and put it in the preheated oven. After five minutes, pour 3 tbsp. of cider sauce on the ham. Bake the ham for two hours, and pour some cider sauce on it regularly, do not let it dry out. 4. Steam the beetroot on the butter for 10 minutes in a covered pan. Salt and pepper it, then add the apple, horse-radish and orange zest and continue to steam for another ten minutes. Serve the ham with the beetroot & apple salad and bread. My name is Beatrix Horváth-Gallai. First of all, I'm very glad that you have found my blog. I'm an architect living in Hungary, and I have fallen in love with cooking and photography. Currently I'm at home with my two little children.